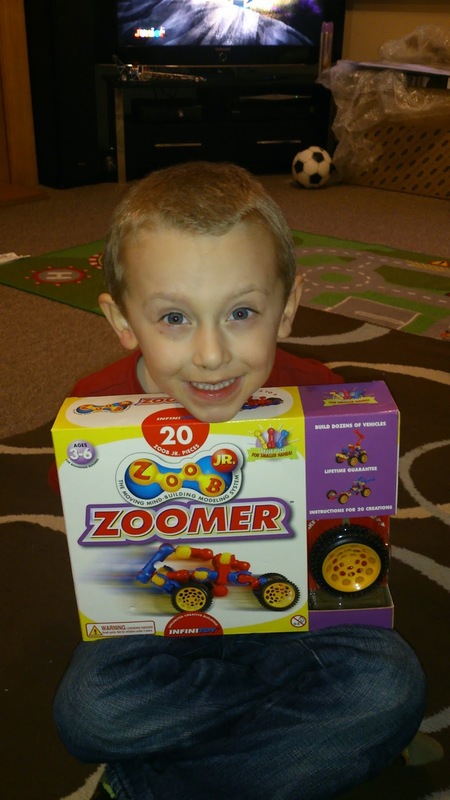 We were recently sent out a toy for James to try out and review from the lovely people at What2Buy4Kids. Do you ever struggle with what to buy children for birthdays (especially if they are like James and get invited to parties all the time from nursery!)? Or struggle to find age appropriate gifts? Well take a look at What2buy4kids it is a website full of gifts suitable for children of all ages all on one website! What2buy4kids was started back in 2010 by Lisa after she became frustrated with how difficult it was to find decent kids birthday presents for her children's friends. 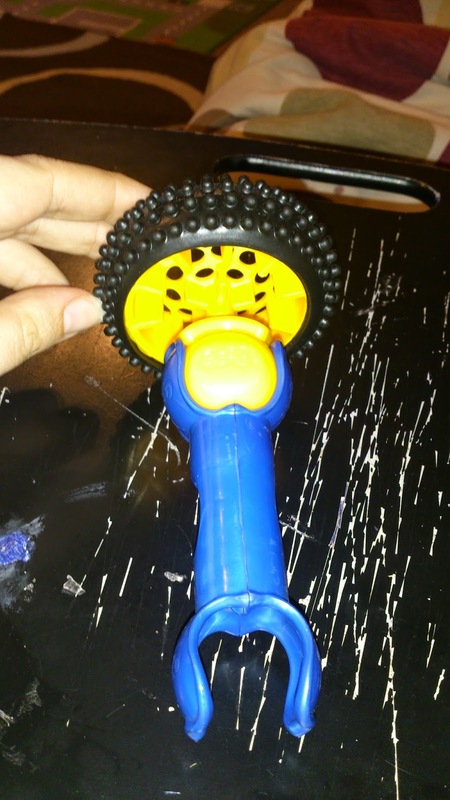 We were sent the Zoob Jr construction kit. 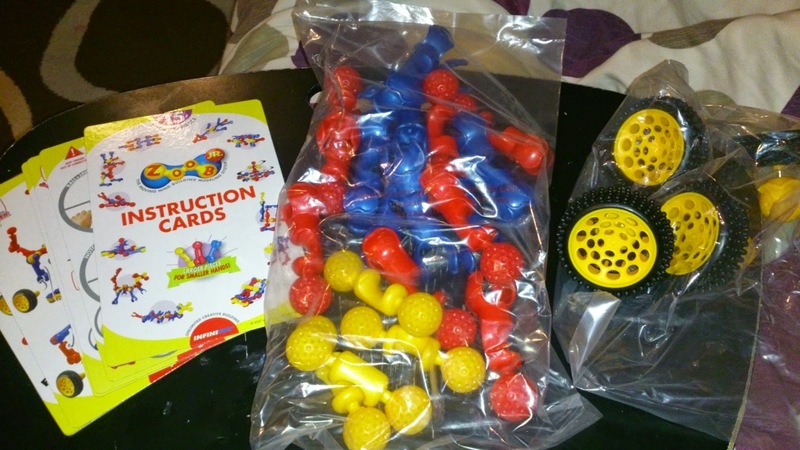 This is aimed at boys age 4-5 and it was perfect for James who is 4 and a half! 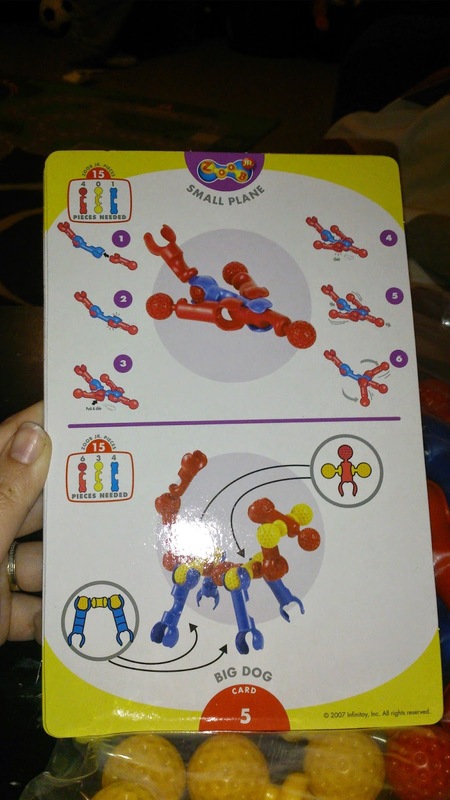 This toy reminded us of a chunkier easy to use for little hands version of knex and was an instant hit with James! The set consisted of 20 varies pieces including 4 chunky wheels + a set of colourful laminated instructions cards full of great ideas to make! The instruction cards were great as they were easy to follow and gave James lots of ideas. We especially loved that they were laminated so easy to wipe clean after sticky fingers had been touching them and meaning they will last. The pieces easily click together with a small amount of pressure needed to push them together, making it easy for James to do himself! James loved this kit and has had hours of fun building various models since getting it! The website definitely got it correct with an age appropriate gift! The website is really easy to use and it is easy to navigate around and find just what you are looking for! It certainly beats getting stressed pacing the shops trying to find a decent gift! The website has a range of gifts to suit girls/boys of all ages and to suit all budgets with gifts starting at just a few £s!